As a producer and performer, he has successfully maintained a balance between electronic music, classical and jazz, and between energetic, highly charged dance sets at huge Techno events and concert performances in seated auditoriums. Since 2010, Henrik Schwarz has composed commissioned work for the Berlin State Ballet, the Philharmonie Luxembourg, the Tonhalle Zürich and the Stuttgart Chamber Orchestra, as well as new music for silent film classics belonging to the Friedrich-Wilhelm-Murnau Foundation. He also created the sound logo for well-known US film production company FilmNation (The Imitation Game, The King’s Speech, Looper etc.). That same year, his conceptual, sound research-based collaboration with German pianist Hauschka, Scripted & Prepared, was unveiled at the Muziekgebouw aan ‘t IJ in Amsterdam. Since 2014, Scripted & Prepared has continued with Swiss ECM artist Nik Bärtsch. In 2013, together with the State Ballet, Schwarz composed and produced a nearly 30 minute score for a ballet production at Berlin’s Berghain club. As part of his own composition, INSTRUMENTS, Schwarz has worked with the Dutch Chamber Orchestra at Amsterdam’s Concertgebouw, independent ensembles in Tokyo and Stuttgart, and the German Chamber Orchestra in Berlin. 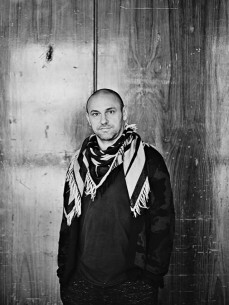 Henrik Schwarz’s INSTRUMENTS album was released in April 2015.